The smartphone is increasingly energy hungry. It is using more energy in a day than the average refrigerator - but because we are not individually paying for it, the costs are hidden to us. The most common events in daily life, like making a phone call, sending a message or checking email, require a lot of computing power. Some tasks, such as watching videos, require a LOT of processing, and a lot of energy. However, because all that energy is burnt in distant, unseen data centres, and as consumers it is not reflected in our bills, it largely remains hidden to us. How much energy do smartphones use? Dr Daisy Wang, Research Fellow at the School of Physics, UNSW, outlines how much energy our smartphones use. Our smartphone has become one of the most important devices of our everyday life: we use it to access up-to-date weather predictions, to plot the best route through traffic, and to watch television series and movies. And we expect it be even more powerful in the future: we want it to translate language in real time, and allow us to travel to new locations in 3D virtual reality. We want self-drive cars and an ‘Internet of Things’ where every device talks to every other device. But it’s not actually happening in your phone. It’s not your smartphone that is doing the really hard work. The smartphone is increasingly energy hungry. All its many features - from GPS to weather forecasting to browsing the internet - work because the device is backed up by a huge network of mobile phone towers, wifi networks and massive, factory-sized data centres, or ‘server farms’. A smartphone actually requires more electrical energy to run than your household refrigerator. 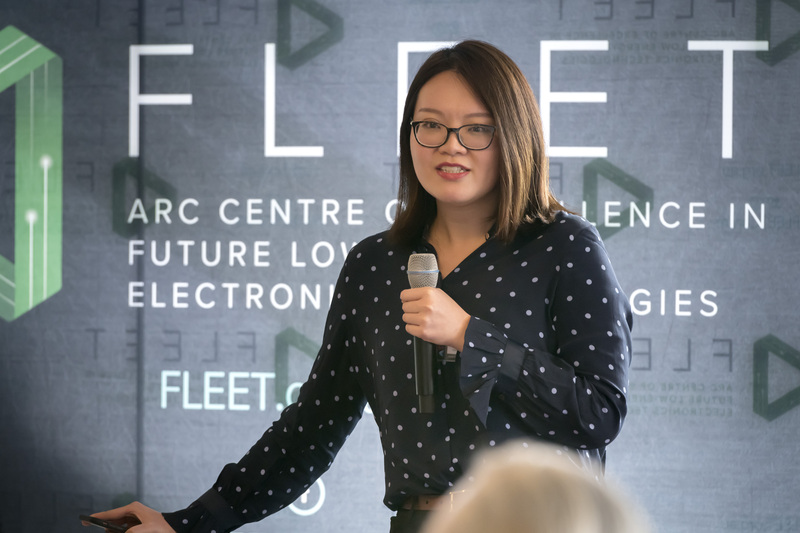 At the Australian Research Council FLEET Centre launch in June, 2018, Dr Wang outlined the case for Future Low-Energy Electronics Technology (FLEET). The demand for computing power grows every day and the energy used in computation doubles each decade. The growing demand for computing capacity and energy must be met with gains in computing efficiency, otherwise the information revolution will slow down from power hunger. CIOs need to prepare for the demise of ever smaller data chips after 40 years of continual improvement. "For the past 40 years, our ever-increasing need for more computing was largely satisfied by incremental improvements in conventional, silicon-based computing technology – ever-smaller, ever-faster, ever-more efficient chips. We refer to this constant shrinking of silicon components as ‘Moore’s law’. "However, as we hit the limits of basic physics and economy, Moore’s law is winding down. "Our current computing technology is running out of steam, and is no longer getting more efficient every year. "The efficiency gains with current, silicon-based technology is expected to stop as soon as 2020."